Writing a book is always more work than I anticipate. I think this is true of many, if not most, writers: I’m struck with a spectacular idea for a story, which is great fun, and then have to sit down and do the actual work. Some writing days are a high of creativity; others are the pits. 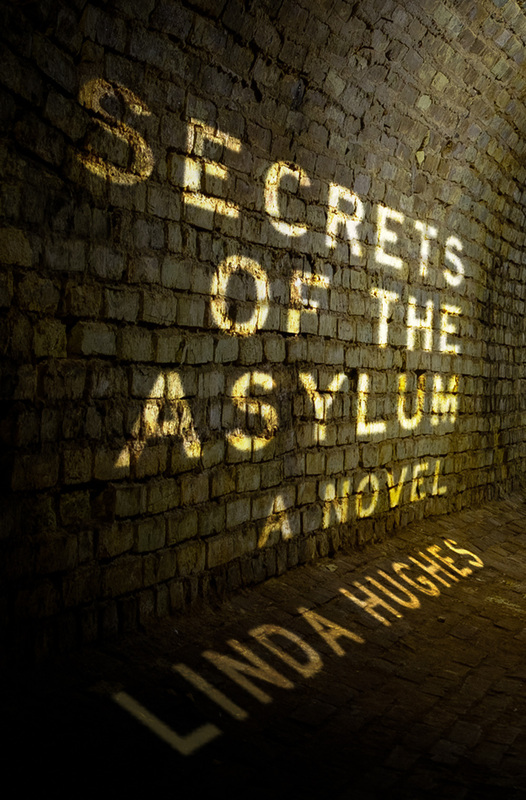 Most of my days of working on my latest romantic suspense novel, Secrets of the Asylum, were a joy, but others were a depressing drag. What was depressing? 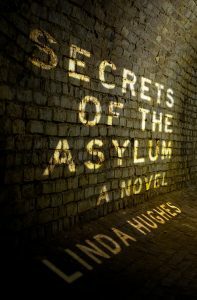 Research – a critical part to writing a good book – that revealed some of the practices in the past regarding committing people to asylums. One of my three main characters is in a “loony bin” in 1921, so data collection was necessary, seeing that I was not in such a facility at that time. Some of that information I was already privy to from former research on the one-time asylum in Milledgeville, GA. Then I took a tour of the former Northern Michigan Asylum for the Insane, later the Traverse City State Hospital, and walking through the hallways and bedrooms and tunnels of that huge structure that housed 2,000 people I could feel their sorrows as well as the relief of some to be sheltered away from traditional society. Learning that women were often committed by their husbands just to get them out of the way so that the husbands would be free to run around was maddening. There was even a menopause cottage, the assumption being that a woman couldn’t handle herself during that time of life. And people who were sick, especially if they had consumption (tuberculosis), went there, which wasn’t necessarily the best place for treatment of such a disease. There were some, however, who wanted to be committed, and that was fascinating to discover. 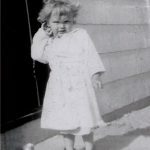 It was reported in asylum records that some women committed themselves to get away from working a farm, husbands, and children. Old lumberjacks who could no longer wield an ax holed away there. Criminals with mental problems were sometimes sent there instead of prison. A woman going through menopause might in fact want to get away from it all. People with mental impairments and disabilities were there. A homeless orphan child and a single mother with kids might need food and shelter. Many used it as home until the end of their lives. There were even those recorded as being there for “religious fervor” and “sexual misbehavior.” It was an interesting mix, to be sure. Weaving reality into my fictional story took a lot of thought. It isn’t something that can just be thrown together. This I tell you in case you are a writer or are thinking of being a writer. If you have fairy tale ideas about the glamour of writing, I suggest you find yourself a cozy asylum. A good story takes creativity, dreaming, and imagination, to be sure, but mostly it takes good old-fashioned seat time. You need to sit down and do the work, on enjoyable days and on depressing days. Those books that are living in your head don’t write themselves. Tim, I’m sorry I missed your remarks earlier, as it pleases me no end that you’ve enjoyed my books about “up north.” Isn’t the old asylum – the Commons today – fascinating? So many stories to be told! Some of the names in the book come from my family. My grandfather – not at all a wealthy man – was Thomas Herbert Sullivan, thus the patriarch of the book family. Interesting, after writing I found Sullivans in St. Anne’s cemetery on the island. So, “it coulda been.” I made these works of fiction as historically accurate as possible. The research into that area is amazing. I’ll be in TC for book signings for Secrets of the Summer, the last in the trilogy, at Horizon Books on Saturday, July 27, 1-3, and Landmark Books Sunday and Monday, the 28th & 29th, 11-2. Hope to see you there.